I can already feel my dreadful week coming,so before sulking myself into another “I-don’t-want-to-see-my-Dad-get-tired-because-of-me” week, I will try to remember all the things that made me happy to at least compensate for this kind of situation and feeling. When I get too stressed out because of my job, I always try to think about the feeling that I had when I got it. I felt blessed and excited because I knew I wouldn’t be a bum for so long. I was already imagining how will I look like as an employee even if I still had a week until my graduation. The words that were said to me during the interview overwhelmed me,it really uplifted my inner being. It was one of my goals to land a job after I graduate, I’m glad that God lead me to it. When I feel like I am taking my job for granted, I always remind myself that it is more of a blessing than a job. I know my heart and my mind are contradicting each other right now because of this big adjustment in my life. *sigh* “It’s not so bad”, that’s what I will tell myself for the next n days. My friend and I started our day in Newport mall! I love going there cause its just right in front of my happy place — the airport. I fell in love with the restaurant. The friendly staff welcomed us. This was spot on! The chicken was very tender and the saice was flavorful. Worth every penny! The main reason why we ate in an Italian restaurant. I was craving for risotto and couldn’t let another week go by without having one. Parmigiano resurrected my soul with this dish. I swear it was how I want my risotto to be! I smothered it with more parmesan and it was heaven in every bite. We went to Taft after 🙂 I met up with a friend and waited for my brother Renzo. 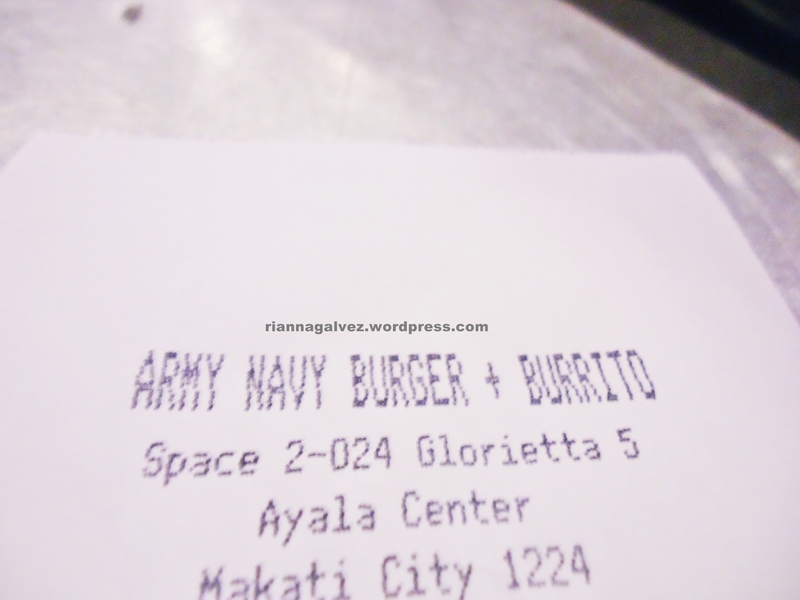 We had our dinner in Army Navy since my brother wanted to eat there. This was mouthwatering! I love how it did not taste like a fast food burger. Milkshake!! What better way to enjoy our food even more? I love Belgian chocolates! Combine it with praline and I am in heaven!